The Wild Boar was the inspiration for this Year of the Boar Tetsubin. The Year of the Boar commonly also referred to the Year of the Pig, is shown grazing in it's natural habitat of grasslands. Like all Joyce Chen handcasted tetsubins, this one is fully enameled in the interior and fitted with a fine stainless steel mesh infuser. Year of the Boar (Pig): 1923, 1935, 1947, 1959, 1971, 1983, 1995, 2007, 2019. 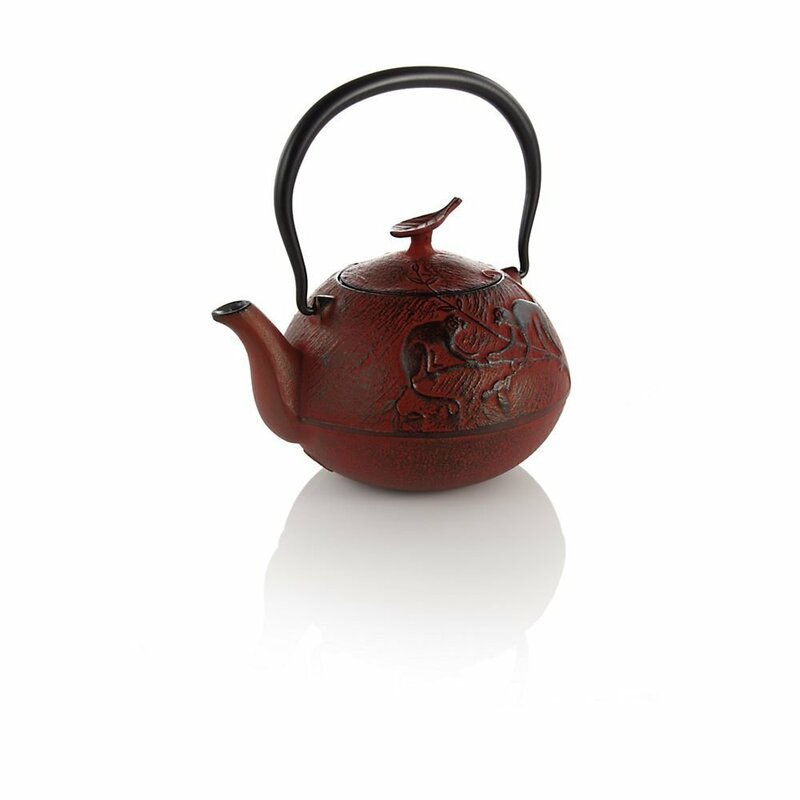 DISCONTINUED/SOLD OUT Year of the Rabbit Tea Pot Chinese Zodiac Series Tetsubin (Cast Iron) Teapots The Year of the Rabbit tetsubin was modeled after a hare. Two hares are shown casing one another in an open meadow, which is a common springtime behavior. Like all Joyce Chen handcasted tetsubins, this one is fully enameled in the interior and fitted with a fine stainless steel mesh infuser. Year of the Rabbit: 1915, 1927, 1939, 1951, 1963, 1975, 1987. 1999, 2011, 2023. Use & Care These hand crafted tetsubin have been made with the experience of master artisans. Please rinse the interior of the tetsubin with hot water. If exterior becomes wet, please dry immediately. Country: Japan Capacity: 16 oz. This 25 oz. cast iron teapot celebrating the Year of the Monkey is hand cast and finished. The interior is fully enameled and comes with a fitted stainless steel mesh infuser. Warmers and Trivets to Fit Tetsubin Teapots. Choose the style that will fit your teapot. Year of the Dragon Tea Pot Chinese Zodiac Series Tetsubin (Cast Iron) Teapots FEATURES: -Year of the Dragon Design -Special Millennium Edition -Helen Chen Original Design -Hand Cast Iron Teapot -Finished with a Porcelain Enamel Interior -Comes with a Replaceable Stainless Steel Mesh Infuser -AVAILABLE IN: Red (shown) and Black -16 oz.